It feels like November ended before it even began. But, alas, December is staring us squarely between the eyes, which means holidays, a barrage of end-of-the-year lists and the year 2019 are just some of the many things we’re about to be hit with. But before we clad ourselves in holiday-party sparkles and make a beeline for the gift wrap aisle, let’s pause to look back on the best music from the last week of November. 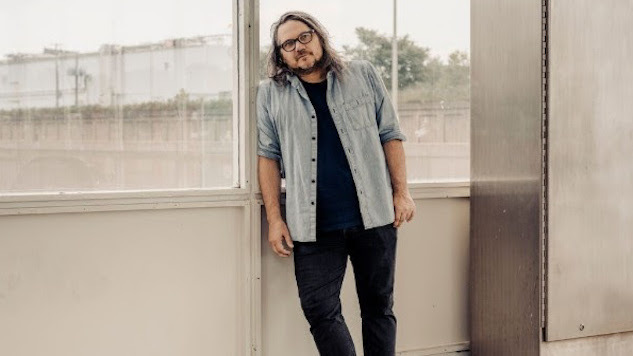 You may have noticed the recent drop-off in releases, but we’ve still been treated to a wealth of great new music: Jeff Tweedy’s frist solo album of new material is out today (Nov. 30), and we think it’s a hit. We also got stellar new tracks from Sharon Van Etten, whose new album Remind Me Tomorrow is due out in January, British trio JAWS, and Merge Records power duo Mike Krol and Allison Crutchfield. Last but certainly not least, we debuted our picks for the 50 best albums of the year (! ), the 15 Philly bands you need to know in 2018 and the best music books of the year. Check it all out below. Brooklyn-based Phony Ppl released their second full-length album mo’za-ik in October, and they brought their signature undefinable sound—which leaps from R&B to hip hop to roots-rock in a flash—to the Paste Studio on Monday, Nov. 26. From the new record, they played “somethinG about your love” (not a typo! ), “Cookie Crumble” and “Before You Get a Boyfriend.” Their session was high-energy and loads of fun. Australian indie-folksters The Paper Kites breezed into the Paste Studio on Thursday, Nov. 29, to play some tunes from their new album, On the Corner Where You Live, which dropped in September, and from its companion record On the Train Ride Home, which was released in April. The Paper Kites, who you may remember from their twinkly, emotional debut hit single “Bloom,” sound like they record their albums in the forest: Gentle, whimsical and earthy, On the Corner Where You Live is quietly affecting. In the studio, they played “Flashes” from On the Corner, plus “Arms” and the title track from On the Train Ride Home.